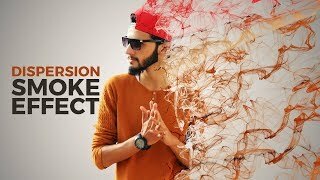 Click the SUBSCRIBE button to see all the latest & new photoshop tutorials, smoke dispersion effect, photo manipulations, photo effects, photo editing, blend and retouching and much more. your work is amazing . i cant find the smoke you are using. I download it but its not the same as yours. Its not smoke but splash I dont understand . I have downloaded it but I can’t see it in PS cc we have to install brushes? BRO SOFTWARE KAHAN SE MILEGA? Amazing Editing Bro…Cs5 pe bhi ho jae gi na yeh Editing? Sir how do I make these smoke brush?? tysm bro this is amazing creation waoooooooooooo…. 4:35 i dont understand.How you can add smoke effect? Whats the background music ?